Joint Entrance Examination Advanced (JEE) is arguable among the toughest competitive examinations held anywhere in the world. It succeeds JEE Mains and together with it, form the entrance set to seek admission into IITs, IISERs, IISc and Rajiv Gandhi Institute of Petroleum Technology. As we all know, the aspirants have to clear IIT Main to become eligible for the JEE Advanced examination. The hard fact is that the time gap between both examinations under the current structure is brief, and requires flair, flexibility, quick adaptability and above all a consistent and self-set urge not to relax at any moment. While the preparation all through for JEEs generally cover both Mains and Advanced, a special focus may be laid on the last minute tips for JEE advanced and quick-fire strategies that may be highly vital and truly instrumental in aiding aspirants during the last moment preparation and inside-the-hall performance. No wonder, the closer the Exam Day is, the severer the stress could be. For many who have cleared Mains with confidence and good performance, JEE Advanced seems like an uphill task amid an avalanche. But stop here and listen to us. Don’t panic and be frantic with the word Advanced, since nothing is out of syllabus or beyond your preparation. Keep cool, stay calm in your mind and actions, words and deeds. While the fact is that the examination is only a few hours or a days away, what matters is a strategy that can strengthen your time management, lay a renewed focus on challenging focus and help you catch the pulse of the overall preparation. Analyse where you need an extra hour to focus that can truly help you on the day of examination. Gauge the efficacy of such preparation and then only allocate time and energy for that. Go subject wise first and then chapter wise. As has been the proven practice during Mains, remember that Advanced carries no exception when it comes to taking mock tests. Take mock tests in discussion and guidance with the faculty and seniors. Let them set question papers out of experience rather than expertise. Their wisdom will come handy. Get the basic right and at the right place and right moment, during the last minute preparation. The examination is all about your ability to get a grip on the subject along with problem solving skills. These can be cracked only when your basics are correct and your approach is right. When you interact with seniors and experts, get a grasp of trends with respect to the regular incidence of questions, high probability of questions from certain chapters, perceived patterns and so on. This will help you apply an extra focus on those areas that may be sure shot in their prominence. All said and done, don’t get into blind guesswork that may spoil the complete game. Be aware about negative marking but don’t panic as it will not help you in anyway. Follow the index or contents and check if the revision has covered everything, if anything needs a little more focus. If you think you have missed certain things, do a comparison and accordingly allocate time. Don’t start new topics in the last minutes as it is not only humanly difficult to cover them in a short time but will also complicate your situation taking away valuable time. Have a peaceful yet thorough revision of theorems, formulae and short cuts that will enhance your performance inside the hall. Focus on important topics and chapters at the last moment in all three subjects and prioritize weightage of concentration and time. Where maximum questions come from, such subjects should have at least 80 percent of time and concentration. Have proper and healthy food to stay fresh, fit and energetic. Avoid spicy and outside food that may increase health risks and disturb the system. No risks at all! Similarly, sound and regular sleep is essential to keep mind and body fit. 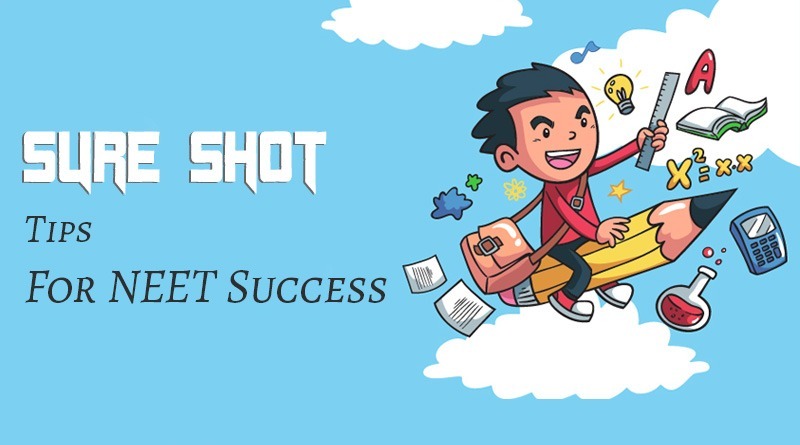 While nothing beats a good preparation, this last minute tips for JEE advanced can definitely help ensure that you take the exams with lot more confidence and get far better results at the JEE exams. Phone : 040 – 66 06 06 06. © 2017 Sri Chaitanya Group - All rights reserved.